This elegant mink fur coat has the ideal length to keep you warm during the coldest autumn or winter days. 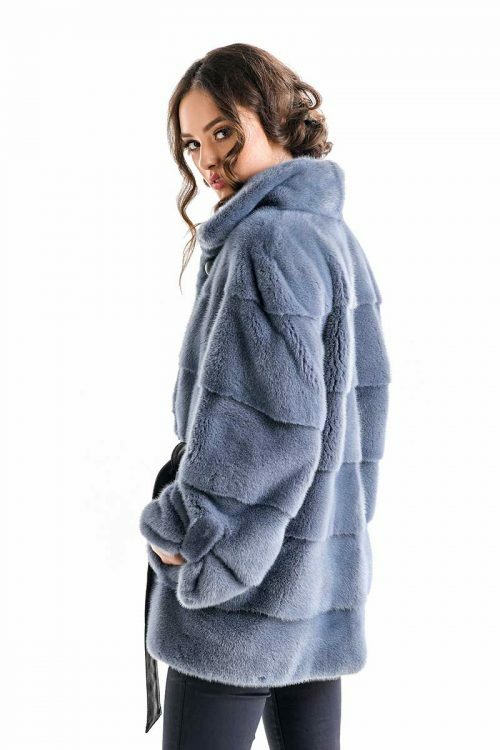 The high density of the fur and the inner lining ensure comfort and warmth, so you will always feel protected and pampered when you wear this coat. Closure is done with discrete clips and a cord similar color of the coat, making it suitable for everyday wear. The color of the coat is easy to match and distinguishes itself as elegant and feminine.